There's no such thing as a small business, only a small business owner. No business will ever outgrow its leaders. So... in order to grow the business, you have to first grow the business owner. We provide coaching, training and mentoring for owners and leaders in small to medium sized businesses that will take the brakes off your business. Our Empowerment Mentoring community will stretch and grow you, offer accountability and provide a supportive community dedicated to your success. Running your own business, whether you are a solo-preneur or have built a team around you can be a lonely place. Your perspective and responsibilities are unique - no one else cares as much as you or has as much to lose as you. Where can you turn for honest, impartial advice that is not loaded with competitive overtones or hubris? Who in your life has only your success as their primary objective? This is why many of the worlds most successful entrepreneurs work with coaches and mentors - because they recognise the truth that in order to grow the business, you have to grow the owner. There are three essential elements to success as a small - medium sized business owner: growth, accountability and community. Everything that happens in your business, everything you create and every process or way of working in your office or factory first is created in your mind and then in the real world. You think it first, then you do it. Which means everything you do will only ever be as good as the quality of your thinking. And the quality of you thinking is controlled by your attitudes, your beliefs, your fears and the things you don't yet know. If you had different beliefs - more confidence for example - you would spot and pursue more opportunities than you do today. Do you think you business would grow more if you pursued more of the right kind of opportunities? This is what we mean when we say that in order to grow the business, you first need to grow the business owner. Secondly accountability is vital. In a large organisation you would have a management team or a board who you could use as a sounding board and then hold you accountable to do the things that you said you were going to do. For the small business owner or solo-preneur it is much harder to find someone to fill that vital role. Your spouse or partner brings too much emotional baggage to the conversation. Your employees may not be experienced enough to help and the people you meet at your networking breakfasts are both your competitors and suffering from exactly the same problems as you. Thirdly a community of positive, encouraging and like-minded people is essential to help you ride the roller-coaster life that is running your own business. A community that has no hidden agenda, no emotional baggage or investment in your business who can be be supportive through the losses and honestly celebrate the wins. For the solo-preneur or small business owner working from home or with a small team, it can very hard to build the trusted inner circle of friends and advisors who can provide the growth, accountability and community that will enable you and your business to really fly. Successful entrepreneurs know that there is no 'magic bullet' that will transform your business overnight. You will, hopefully, be running and growing your business for months and years to come. We will be there for you, every step of the way. Empowerment Mentoring is a rolling programme that provides growth for the business owner through monthly teaching calls, accountability through your interactions with our John Maxwell certified Coaches and a vibrant and friendly community in our private forums, local meet-ups and live events. Designed to support solo-preneurs and small business owners, Empowerment Mentoring brings the power of life and business coaching at a price that everyone can afford. Empowerment Mentoring is now open for enrolment. 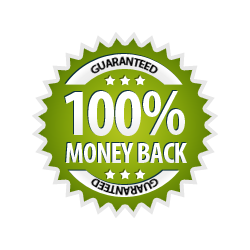 All backed by our 100% Money Back Guarantee. We're sure you will love Empowerment Mentoring, but if not, simply cancel your membership at any time and we'll refund your fee. 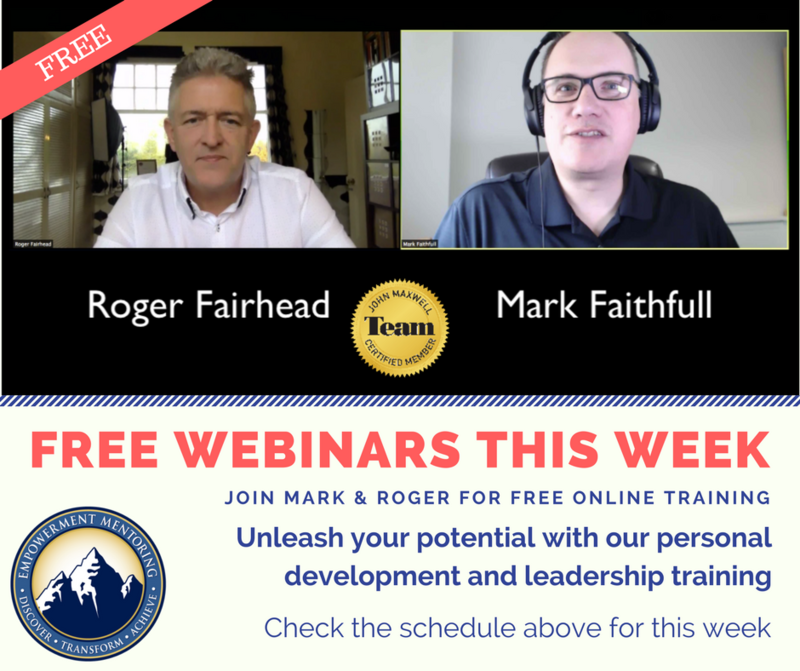 This week's free webinar will provide you with powerful and practical tools to help you grow your business. Space is limited, book your place today.